Storage rental is a great option for a lot of different people in a lot of different situations. Plenty of us have stuff we need to store at various times, either because we’re moving, looking to downsize, or simply have too much we’re not willing to part with. Storage rental can be especially useful for young families like couples who are just married, or couples who have just had their first child. Why? Affordable Family Storage can tell you. We’ll go over the biggest benefits of a storage unit for young couples in this blog. One of the biggest benefits of storage rental is the convenience it offers. This is especially helpful if you’re a younger couple who are either just married, have just bought your first home, or just had your first child. Belongings pile up quickly, especially when you’re combining living spaces or buying things for a new baby. It makes things much easier to have somewhere you can access quickly and easily to temporarily store items. Being able to put stuff in a storage unit either short or long-term is also a good way to save space. For example, if you’re still shopping for that perfect first home, you might be struggling to fit everything in a small, shared apartment. Investing in storage rental means having somewhere to keep everything until you have the space to keep it at home. It’s also a great way to move stuff out of your home to make space for a nursery. 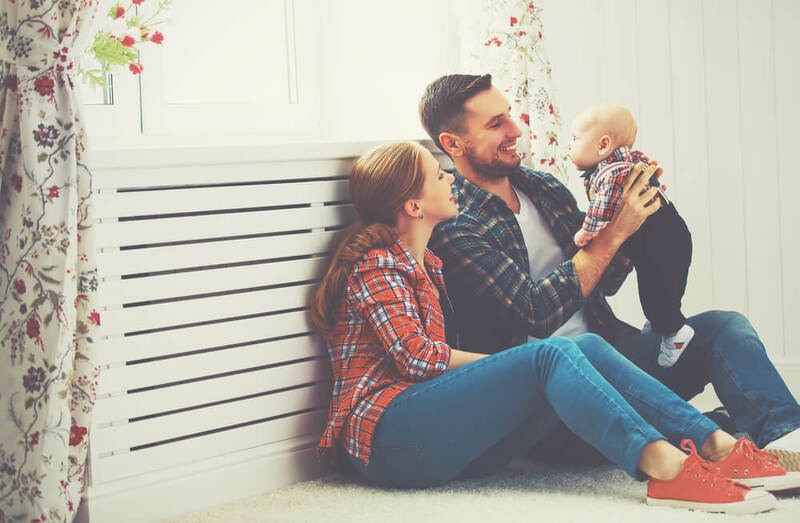 If you’re looking for extra space because you’ve just had your first child, having a storage unit can also potentially make your home a little safer. Before having kids, few people tend to think much about the safety of their home beyond the basics. With a baby around, that changes fast. Especially when that little boy or girl starts walking. Having a storage unit means having space to put things — such as tools from a workshop or a craft-heavy hobby — somewhere out of the way without getting rid of them altogether. Speaking of having a baby, you’ve probably heard parents talk about how fast they grow up. In the first few years especially — from baby, to toddler, to being a bigger kid — your child will quickly outgrow things. Not just clothes, but toys and fleeting interests in hobbies and activities, too. Space gets taken up with plenty of things that they may not play with anymore, but that you also might not want to get rid of. Storage space is the perfect solution to freeing up space at home while hanging on to some sentimental items as your family grows. Whatever reason you’re researching storage rental, Affordable Family Storage is here to help. We offer modern, secure storage units in Omaha, NE at both N 90th and L Street, along with many other locations across the Midwest. Our facilities offer climate control, truck rental, modern security, and a long list of additional features. Talk to the Affordable Family Storage team today.